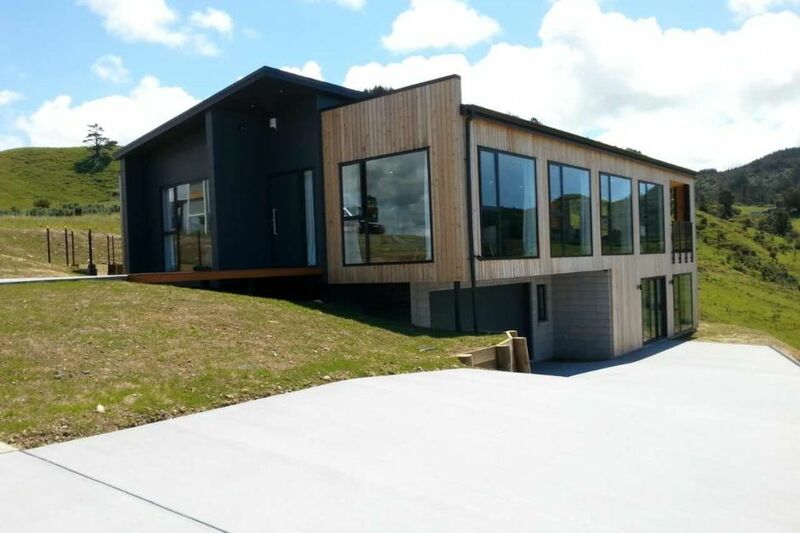 This new built house was designed to take advantage of the incredible location and the wide aspect view of the ocean and the bush. A wonderful feature to the house, is the transverse layout of the house to the beach that allows almost the entire home to take advantage of the amazing views. The beach house is perfect for a romantic getaway or for a family holiday. Located on a peaceful street with gorgeous ocean views you will have a relaxing holiday in our stunning home. Our large open plan living room faces towards the main Beach and Mayor Island. The house has 2 separate lounge areas and a dining area where you can sit and enjoy a drink while taking in the sparkling blue sea. We have a large BBQ and a very comfortable alfresco dinning/ lounge area too if you'd like to relax outside in the sea air! The Nespresso machine is ready for your early morning coffee if you fancy a break from the amazing local cafes. This house is monitored by CCTV cameras outside, please note this house is not available for group bookings that intend to use it for parties. The entire home and backyard is available for your exclusive use, we will not be there. However downstairs in a separate dwelling is occupied by our property manager/ concierge, she is available by phone should our guests have any questions or problems. The cleaning fee pertains to the standard cleaning procedures to ensure the house is ready for the next guests. You must still leave the house in the manner in which you found it. Please respect the neighbours with regards to noise - no parties. We enjoyed our short stay. It was a good location with a great view and a well appointed house. We loved having beach things like boogie boards provided.